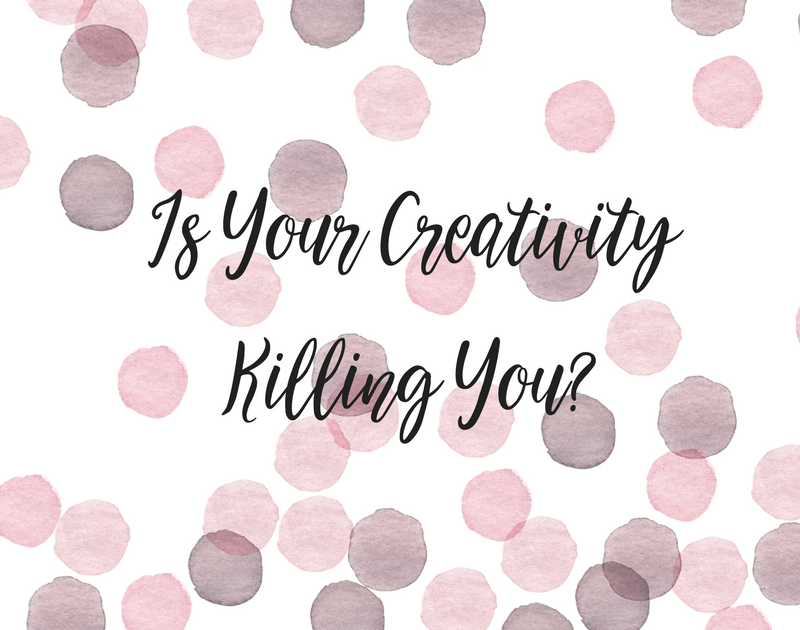 The question was posed to me by my own Jiminey Cricket one day after listening to an interview with Marissa Peer… Is your own creative genius killing you? Wow. I wasn’t even sure it was possible until I started exploring the depths of the creative mind and what it is capable of. Creative people have an incredible capacity for imagination and the ability to create something from nothing. Throughout human history we have manifested insanely beautiful pieces of art, soul infusing music, dance choreographies capable of saying more than the english language ever could… art that heals, transforms, enlightens, shocks, challenges, transcends, and renders us speechless. But as with all magic, it comes with a price. It is this formidable gift that facilitates the creation of things we DON’T want, as well as those that we do. Those with creative spirit (i.e. most of us) allow our imaginations to run away with us, creating endless ‘what ifs’ and completely fabricated scenarios in our minds. These fabrications are often the cause of our anxiety, fear, torment, self-sabotaging and self-loathing. Yes we all have a past in which we have created limiting beliefs and core values through various events, but, continuous negative mind movies filter our happiness and enjoyment of life. Creatives are the BEST at self-sabotage. We dare to dream, and through dreaming create magic, for our own enjoyment and that of others, yet hold a natural resistance to abundance. Is it that we are so used to rejection we learn to expect it? Do we imagine failure before it manifests as a self protection mechanism? Are we so good at creating something out of nothing that we manifest our biggest fears in a twisted bid to prove to ourselves that it’s not actually that scary? Creatives are a peculiar bunch… I’ve heard us called all sorts of things, I think ‘socially awkward’ was my favourite! However, in light, of this self-discovery, one I’m sure I share with many of you, I prefer to adopt a different approach to ‘labelling’ the ‘side-effects’ of our creative genius. We are manifestors of magic. Creators of change. Pioneers of personal development. We are the brave. Brave enough to embrace our sensitivities, our vulnerabilities, our quirks, our flaws, and through surrender, we find our truth… in an imperfect, insecure, explosion of self… we create our art form. So next time you’re feeling sh*t, chastising yourself, allowing your insecurities to eat you up, procrastinating and self-sabotaging, remember your creativity is what makes you you, don’t let it kill you. Own your imperfection. We need people just like you. You give the world colour. P.S. If you need help bringing out the best in you and bringing your light to life, get in touch, you deserve to shine, and I’d love to help you.